Hi there! Welcome to our documentation center. We’re making forms easy and fun. Don’t spend time working with long and confusing PDF forms, let PlatoForms do the hard work for you. Let’s face it, very few people know how to fill out a PDF form. They’re confusing, difficult to use, and highly unpopular. With PlatoForms you can swiftly and effortlessly convert your PDF forms into nifty, easy to use, familiar web forms. Once your user submits the information, we turn it back into a PDF for you and send out a notification. Simple. 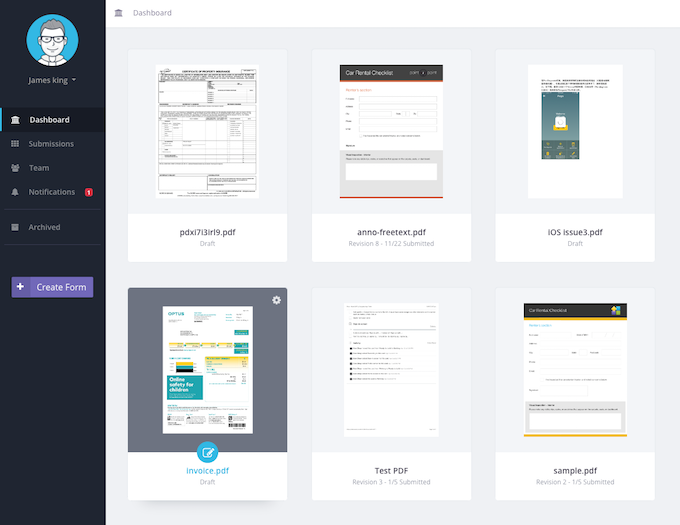 PlatoForms works best when you need a form filled out by multiple people, for example, your clients, customers, or team members. PlatoForms is very versatile; it can handle various PDF formats, such as multiple pages, documents with images, and even scanned PDFs. And, most importantly, it’s easy to use.